Trio Eclat is an enthusiastic group of music professionals committed to performing new and existing repertoire for wind trio. Our intent is to provide informative and exhilarating music to the community, strive for artistic excellence as professional musicians, and to foster creative musical ideas to young musicians through example. The group is made up of experienced musicians who both perform and teach music throughout the Auckland community, and the rest of New Zealand. 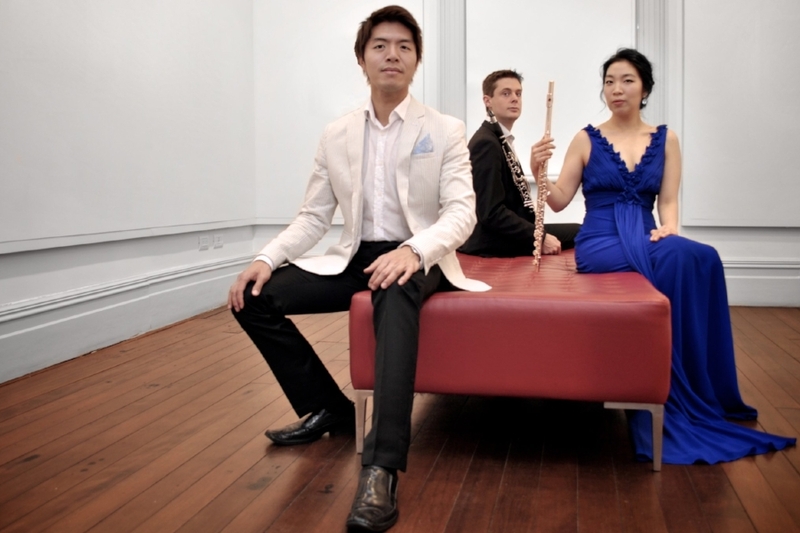 Trio Eclat is excited to present their debut concert at Nathan Homestead and as apart of the Auckland Fringe Festival. Come join the Trio for an afternoon of music by Faure, Piazzolla and more. Drinks and nibbles are provided after the concert and we would love to hear your feedback on our music. Please visit www.ecmusic.co.nz/trio-eclat for more information on the Trio. WORLD PREMIERE! MUSIC! CHAMBER MUSIC!